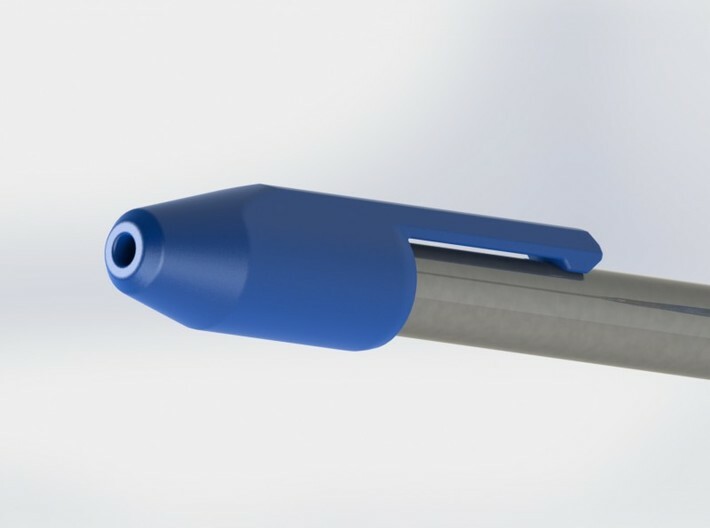 I present my simple pen cap, designed to fit Nick's Exclusive Pen - Classic X; a recently completed Kickstarter campaign. 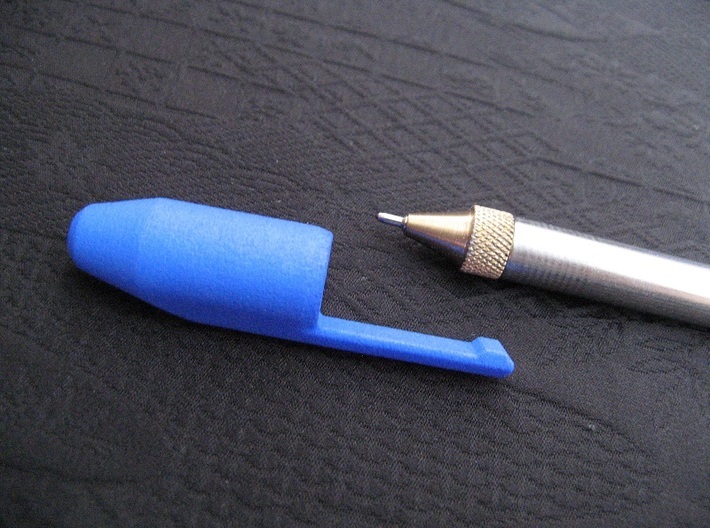 The pen did not come with a protective cap for the writing tip, so I had a go at using 3D printing to come up with a solution. 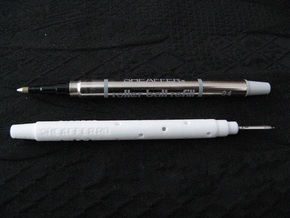 The cap will also fit Gleo's Prestige - Pen; another Kickstarter pen, which is practically the same design. 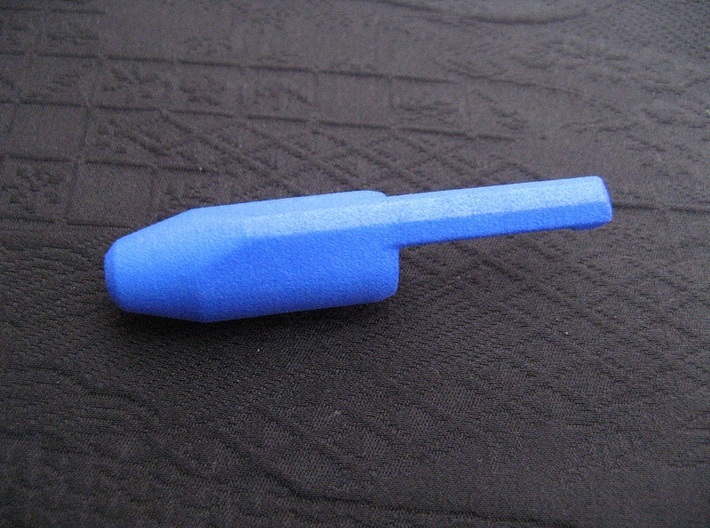 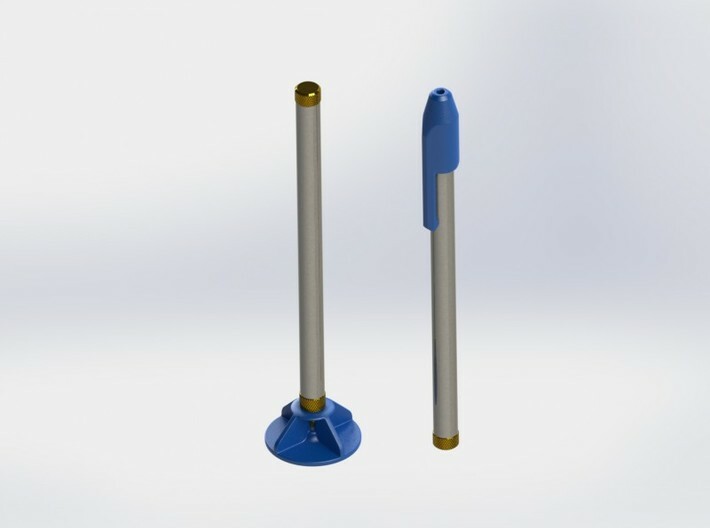 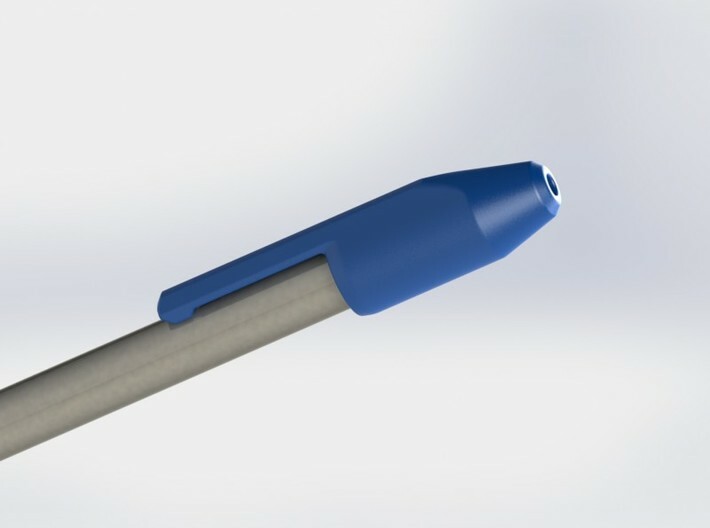 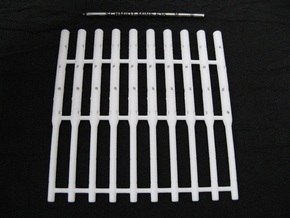 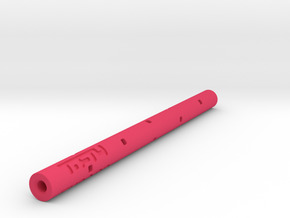 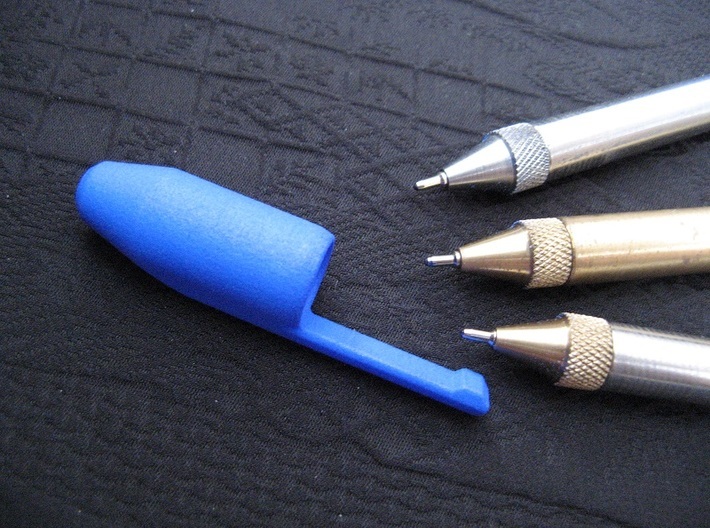 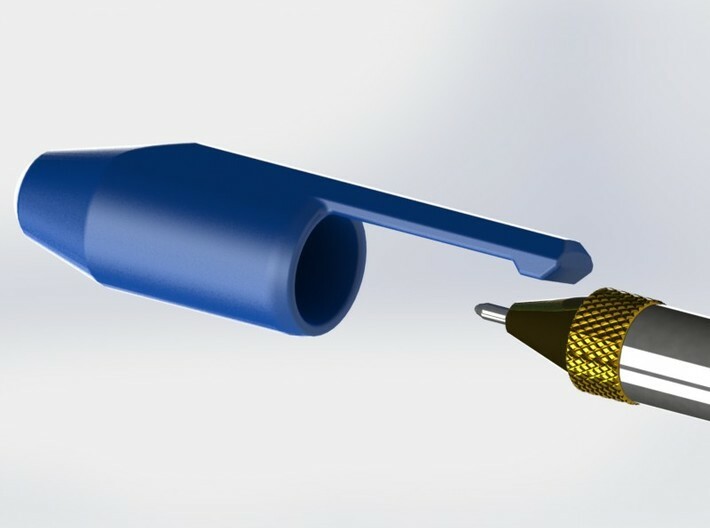 This model is only suitable for printing in plastic, as the slight flexibility of the plastic is needed for the cap to engage positively with the pen. 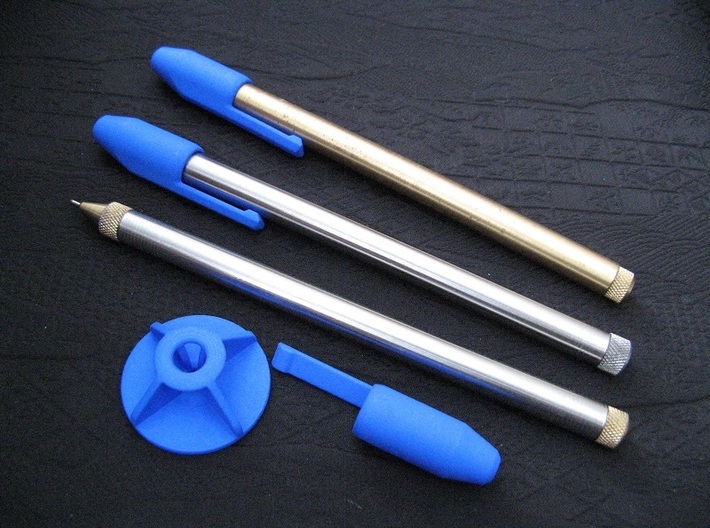 Due to variations in the machining process of the pens themselves, I cannot guarantee that the fit of the cap into the pen will be perfect, although the 3 caps that I ordered do all fit properly onto the Nick and Gleo pens that I received. 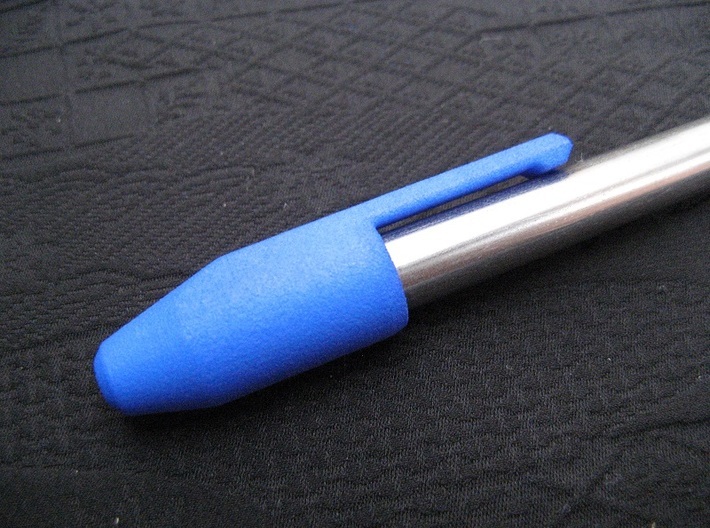 I also have a desk base station model for the same pen in my Shapeways shop, which allows the pen to be displayed on a desk.